Someone knocked on the door. "Come in." Tony looked up from his writing, expecting to be interrupted. Minutes after, no one came in. Absorbed in his work, he resumed his writing, giving full attention to the task at hand. About fifteen minutes later, the knock came again. He paused, whoever it was got his full attention this time. "Who is that?" He was greeted by silence. "Who is at the door?" Silence. He stood up and smiled, expecting to find Bella crouched by the door waiting for him to carry her on his shoulder. He walked to the door, opened it and was surprised to find his two older children from his first wife, Philip and Carol descending the stairs in a hurry. "Philip? Carol? Were you ones who knocked on my office door?" They exchanged nervous glances and fidgeted with their hands. "Yes Dad," Carol answered, the younger and most outspoken of the two. "Then why didn’t you come in? I guess you both wanted to see me about something?" He narrowed his eyes and watched as they communicated wordlessly with each other. "We changed our minds, dad." Philip replied. "No, that will not be fair on me. You guys came here to talk to me about something, then you suddenly changed your minds, for no reason. I thought we used to tell each other everything and hold nothing back." They exchanged looks, nodded at each other and faced their father. "We want to talk about mother……" Carol started. "Not in the corridor, let's go back into the office where we can have a round table conference." He tried to bring smiles out of their faces, but they refused to respond to their father's humor, as they stared ahead with stony faces. There was an uncomfortable silence, as each took a seat in the office formal setting. ''Go ahead Carol, I am all ears." ''Is mother going to die?" She asked as a matter of factly, not mincing words. Startled, Tony stared at his kids, temporarily lost of words." "Dad, is she going to die, just like mum?" Philip cuts in while he was trying put his mumbled thoughts together. Oh Lord, how will I answer them? Please help me through this. He took a deep breath and smiled "Why did you think your mother is going to die?" "Dad, don't treat us like babies. I know mother is sick, very sick, just like the way mum was before she died." Philip bursts out, tears already gathered in his eyes as he stomped his feet on the floor in frustration. "Dad, I don't want mother to die. Please, don't allow her to die. Who will take care of us if she dies….? Carol sobbed. Broken to see the trauma Sharon's illness had caused on the children, Tony went on his knees and enclosed them in his arms. Oh Lord, help us through this. What do I tell these innocent children? How do I explain to them that their mother is dying, just a few years after they lost their biological mum to the same illness? Will they survive this? Won't this mar their faith in you? Won't they see you as the invisible being who snuffs life out of mothers and watch them die? Help me Lord, help us through this. ''Have I ever lied to you Philip? Carol?" "Good. I want you to listen to me carefully. Bad things happen to even good people and when they do, we should trust God and believe that he knows the best. Afterwards he is God and no one can question him…….."
"Then God must be wicked if he finds pleasure in allowing mums to die. Can't we plead with him to let mother stay with us. My Sunday school teacher told us the story of how Jesus rose Lazarus from the dead. There is still hope for her, isn't it?" Carol interrupted, her eyes wide in consternation. ''At least mother is still alive, so Jesus has less work to do." Phillip added. "Daddies sometimes do not have the answers to every question, but I can assure you that no matter what happens," he paused and swallowed his breadth. "No matter what happens, God is still good, loving, powerful, and wonderful." "I hope so dad, I hope that by some stroke of luck, mother's life will be spared. I hope God will show his goodness and love like you said by healing and restoring her health." Philip replied, arms akimbo with a stubborn set of his chin. "Do you believe when I tell you that all will be well with us no matter what happens?" "Great. I want to assure you both that daddy will always be there for you." As they lurked their hands around him, he knew that the matter was far from being closed; it has only been postponed to another time in the future. In the next few weeks, we are going to be exploring my new book titled Disabled, yet victorious. Many go through life depressed and envying others because they think if they had been born differently, or if an accident did not happen, their lives would have been perfect and happy. But a happy life is not necessarily about good things happening around you, it is about fulfilling the purpose for which you were sent to do in the world. You may never find fulfilment until you understand your shape, discover your inherent abilities and get to work on them. Our experiences are beyond our control. They are allowed by God to mold us for his purpose. We have various kinds of experiences in different areas of life, but the most notable is a painful experience brought about through problems, disappointments, hurts, denials, inabilities, rejections, thorns, and trials. God never misses a hurt, infact; your life message will most likely come out of your greatest hurt. Who could better counsel the parents of a Down syndrome child than a couple who have a child afflicted in the same way? Who could help a widow recover faster than another woman who had lost her husband. Who could help an alcoholic recover than someone who fought the same demon and found freedom? For your pain to be used, you must be willing to share them. You have to stop hiding and covering them up. You must honestly admit your faults, disabilities, fears, and failures. People are more encouraged when we share how God helped us overcome our weaknesses than when we boast about our strengths. Only shared experiences can help others. It is what you do with what happened to you. What will you do with what you have been through? Don't waste your pain; share it with others as someone probably needs to hear it. We should believe that the maker who molded every creature knows what is best for each of his creation. Therefore, we should gratefully accept the way he has fashioned us. Were you born with a handicap or it came about by an accident? Your shape, your pain, your thorn was sovereignly determined by God for a purpose, so you should not resent or reject it. And instead of trying to be like someone else, celebrate what God has given you and take pleasure in who you are. Afterwards, you are going to be in that body for not less than seventy years, if you live that long. Part of loving yourself the way you are is recognizing your limitations. No one is good at everything, and no one is called to be everything. You should never compare yourself to anyone because you will always find someone who seems to be doing better than you and you will become discouraged. Or, you find someone who doesn't seem as effective as you are and you become swollen with pride. This segment will be continued again. Until then, stay upbeat and excited about life. After an extensive tour of the United States, the well known German pastor and theologian Helmut Thielicke was asked what he saw as the greatest defect among Christians. He replied, “They have an inadequate view of suffering” (cited by Philip Yancey, Where is God When it Hurts? [Zondervan, 1977], p. 15). Thielicke was right. I’ve heard many times of Christian psychologists who encourage their clients to rage at God because of tragedies that they have gone through. I’ve heard of pastors and missionaries who have left their ministries and sometimes left the faith because of burnout or other hardships. I’ve seen many in the local church quit their ministries and sometimes drop out of church altogether, because they were criticized or ran into conflict with other believers. by their families, privation, and death because of Christ. Burma, Adoniram Judson, Pastor John Piper states (http://www. 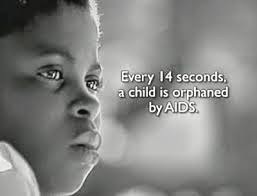 some of us and some of our children will be killed in the process. number of martyrs (see Rev. 6:10-11)! Paul was in his final imprisonment. the word you in the broadest sense, meaning, “a person” theoretically could do these things). them back home. The shipment included your comb, shampoo, and all personal toiletries, except for a razor and shaving cream. but there was one radio and they posted the front page of a newspaper on a bulletin board. But the catch was, you had to earn the privilege to have the radio on or to read that front page. if you dozed off during the boring classes! we would not be adequately prepared if we spent our time waterskiing or fishing or lounging around reading the newspaper. We needed to be ready to accept danger and hardshipsup front so that when it hit, we would not run from our duty. shocked when they send your water skis and fishing pole home! Be prepared to endure the shame of the cross. considered such men accursed by God (Deut. 21:22-23; Gal. 3:13). rebellious provincials. Sometimes the Romans would crucify thousands in mass executions, leaving their bodies to rot as a warning to others not to rebel Both the Romans and the Jews viewed crucifixion as so shameful and degrading that it shouldn’t even be mentioned (Zondervan Pictorial Encyclopedia of the Bible [Zondervan], 1:1038, 1041). gospel by making the message more acceptable to unbelievers. They downplay sin and judgment, because those aren’t popular among their target audiences. They play up how Jesus can help you reach your full potential, or how He can give you a happier family life. today’s self-focused culture, that is our only message. created a worse way to market the gospel than by a crucified Savior. the university as it is to save a primitive tribesman in the jungle. Rather than being ashamed of the cross, Paul gloried in it (Gal. it without compromise. But, why would anyone choose to do something that inevitably leads to shame or suffering? If you’re going to choose hardship or suffering, at least choose to suffer for a worthy cause. You’ll lose all your money and possessions at death. But what could be more worthy than the eternal kingdom of our Lord and Savior? Paul tells Timothy not to be ashamed of the testimony of our Lord and appeals to him, “join with me in suffering for the gospel.” When we suffer for the gospel, we’re suffering to take the greatest news in human history to those who are perishing, so that they can have eternal life! Jesus (Matt. 13:44) told the parable of the man who found a treasure hidden in a field. From joy over it, he went and sold all that he had to buy that field. Christ and the gospel are that treasure! found a pearl of great value and he sold all that he had to buy it. and eternity. Christ and the gospel are worth suffering for! Paul—they’re worth joining in the cause. The apostle Paul is one of the most remarkable men in history. being criticized and attacked, even by his fellow Christians. maintain any hope in this gloomy situation? the Lord is to remember that He is sovereign over it. He has a purpose in allowing people to do wrong things to His servants. you. But if you serve the sovereign God, then you are His prisoner. trial was ordered by infinite love and mercy, I could not have survived my accumulated sufferings” (in John Piper, from “Giants of the Missionary Trail” [Scripture Press Foundation, 1954], p. 73). with hope in the Lord. stay in India. They spent the next year sailing from India to Mauritius (off the coast of South Africa) and back, to avoid deportation. Finally, against all advice, they managed to get aboard a ship going to Burma. En route, Ann gave birth to a stillborn baby and almost died herself. their yard and continued with the work through their tears. After six years, they finally baptized their first Burmese convert. accused of being a British spy. of the prisoner. After hauling Judson to the prison, they secured his feet with three sets of iron fetters that cut into his ankles. The prison was a sweltering bamboo room, with an overwhelming stench. There were no windows, but a little light filtered through the cracks. At night, the prison ruler, with “murderer” tattooed on his chest, who insisted on being called Father, would come in with an assistant. They slid a long bamboo pole through the fetters on each man’s legs and hoisted it up with a block and tackle until only the prisoner’s shoulders and heads rested on the floor. They left them suspended in this position all night, while the rats ran around them on the filthy floor. Ann was pregnant, but had to walk two miles each way to bring him food each day. After 17 months of this terrible torture, including a move to a farther location, where he had to walk barefoot over sharp, hot rocks and nearly died, Judson was released. that, their little daughter died. of the Bible, plus six more years to revise it. Judsons sailed to America. After 33 years in Burma with no furlough, Adoniram arrived in America. While there, he met and married a young woman, Emily Chubbuck, who was a famous writer. returned to America and died at age 37 of tuberculosis. number of Burmese Christians. Today in Burma (Myanmar), according to Operation World (Patrick Johnstone & Jason Mandryk, 21st Century Edition, p. 462), there are over 3,700 Baptist churches with a total membership of over 600,000, plus many other evangelical churches. The Burmese church today, although under frequent persecution, sends out many missionaries of their own. I would like to think that the Lord has Adoniram Judson heading up the official “Welcome to Heaven committee” when Burmese believers die. After reading about what Judson endured to take the gospel to Burma, how can I complain when I suffer a little criticism or hardship in my service for the Lord? Read his life and the lives of other missionaries for yourself and join with Paul in suffering for the gospel according to the power of God. 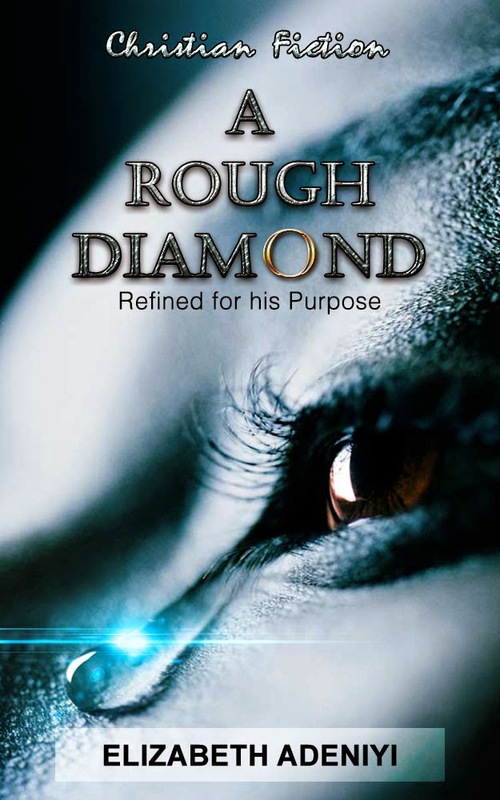 Welcome to the Rough Diamond page, dedicated to the story of Sharon Mathews. 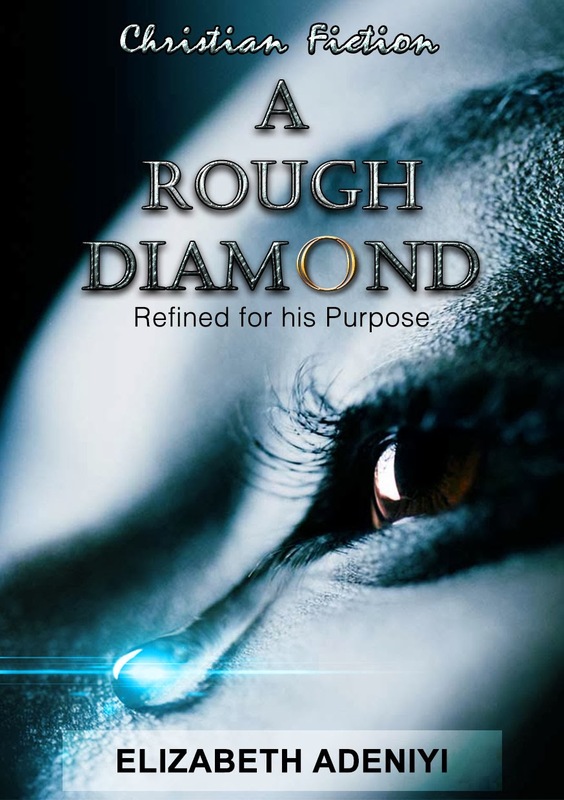 A rough diamond is a story about how good can come out of a tragic event, how beauty can come out of ashes, and how a life can be miraculously transformed in spite of a supposed tragedy. Even though Sharon died, the victory was in the fact that she lived her life to the full; she fulfilled the very purpose for which she was born and left footprints in the sounds of life. It is a story that will captivate and touch the soul of every living being with a heart. The misfortune that befell Sharon could happen to anybody, as a promising beautiful life could suddenly change overnight. When life crisis happens, what do we do? who do we blame? Is it God ? Our Parents? Ourselves? Every one living on the surface of the earth will sooner or later go through a challenge, a crisis ( that is if you are not going through one already) at one time or another. When it happens, what do you do? Do you curse God like someone was advised to do? Do you give up on life or live on in bitterness? Do you sing such popular songs such as why me? Where are you Lord? I don't deserve this. Or, do you become stronger through the lessons that only pain can teach? After Sharon’s passing, it was strongly impressed in my heart to write her story. I wanted the world to read about her. Perhaps, some will be lifted out of depression and come to find joy in life again; have courage to start afresh and do more in spite of what life has thrown at them. 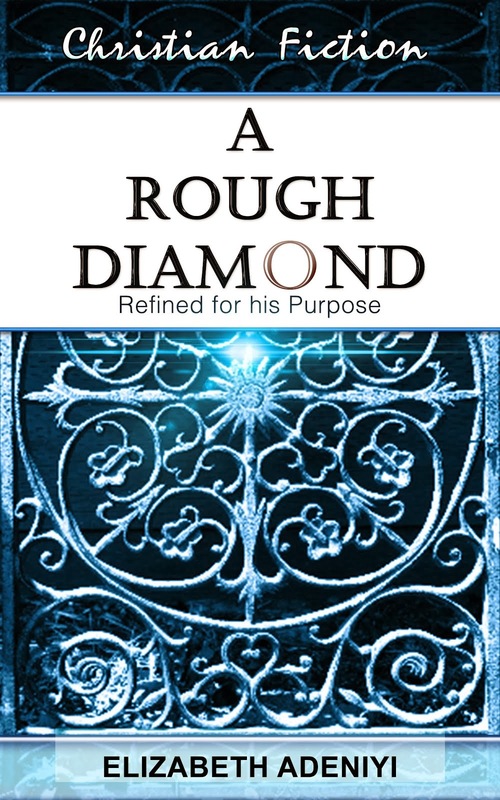 Some of us may never discover the precious diamond within us until we face a big mountain, a challenge, a tragedy that appears larger than life itself. God has a purpose in every problem. He uses problems to draw us closer to him. Your most profound intimate experience of worship with God will likely be during the darkest period of your life; when the pain is most, when you run out of options, when there is no other alternative. That is when we pray our most authentic and heartfelt prayer of dedication. At the instant of pain, it may seem impossible to imagine that good can come. It must have seemed so to Christ at Gethsemane. It is never clear to us how suffering or evil can be transformed into a cause for celebration. But that is what we are asked to believe. The mystery of suffering is a Christian paradox. Pain jostles with triumph and rubs elbows with despair. And yet in this story, people like Sharon and Tony show us that Christians in the worst prison of suffering can still hear and believe Christ's words. " I have overcome the world". Find out about what happens when we die. Do we go into oblivion, are we regenerated or exist no more forever? We welcome your comments. The first chapter is available to be read free online. And if you want to buy the book, navigate to the shopping cart page and follow the instructions for download. Trulifebooks Ltd. Awesome Inc. theme. Powered by Blogger.